It is with the greatest sadness that we must inform you of the passing of Honorary Life Member Angie Bines. For some year's Angie had been battling Parkinson's Disease and she passed away peacefully in hospital in the early hours of 19th March with her family at her side. Angie and her husband Johnny joined the sailing club in 1971 with their two young sons Andy and Chris. They immediately threw themselves into club life and before long were an integral part of the day to day running and management of the club. Both in her own right and as part of an indomitable double act with Johnny, Angie's contribution to club life over the next half century was truly extraordinary, including a stint as Commodore's Lady during John's tenure as Commodore from 2003 to 2004. Angie contributed to both the house and sailing aspects of the club and her encyclopaedic knowledge of all things BSC was extraordinary. 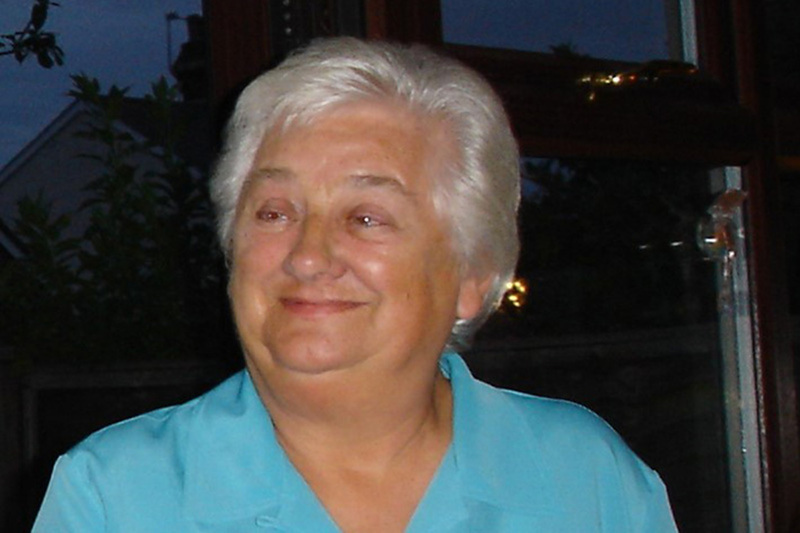 Even after she retired from active committee work, she continued to help maintain the trophy register and remained the go-to person for archive, history and protocol queries. Alongside her work in helping to run the club Angie supported Johnny, Andy and Chris, in becoming highly successful competitive sailors and would always have one eye on the race action in the creek, regardless of whichever task she was fulfilling at the club. As her grandchildren Sarah, Joanne, Rebecca, Issy and Jack came along that watchful eye never missed a trick in their development either and she was incredibly supportive and proud of their many achievements both afloat and ashore. Her commitment to the club was exemplary and she will be much missed by all those many members for whom she worked so hard and gave so much. Angie's funeral will take place on Monday 8thApril 2019 at 12 noon at All Saints' Church, Brightlingsea and will be followed by a wake at the Sailing Club. Angie requested that there are to be no black ties for her funeral and family flowers only, and if you would like to make a donations instead please make it to Parkinson's UK (visit www.parkinsons.org.uk and click the donate button at top right).